Wix is an amazing website builder with unprecedented drag-and-drop features that allow anyone to build a website quickly and easily. 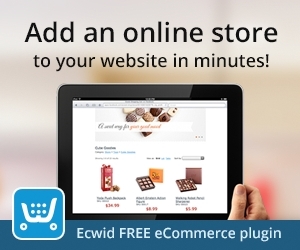 Ecwid is an incredibly powerful eCommerce solution that seamlessly integrates Wix. 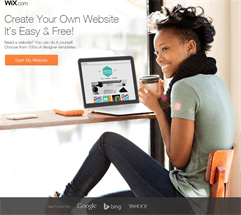 Wix is a drag and drop website builder that requires no coding, no hosting or development. It is super easy to use and is constantly developed with more features. SEO is excellent and includes mobile editor. Excellent with Ecwid. Ecwid is a perfect match when added to WIX to help you build the e-commerce platform of your dreams. In this vlog post, you will find five concise videos teaching you to add your Ecwid store to WIX, improve customer experience and design your Ecwid store to match your brand. 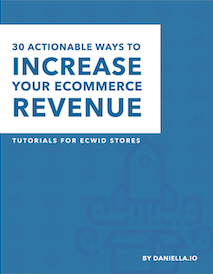 Before we begin, your Ecwid e-commerce store should be integrated to your WIX site. This is a big money saver as you won’t need a Wix eCommerce theme. The video above demonstrates how to add your store to your WIX site using the Ecwid e-commerce app from the WIX App market. Select the site you would like to add a store to > Click Edit site. Once you add the app, it will show sample products until you connect to your store. Connect your Ecwid store to sell your products on your website. If you do not have an Ecwid store yet, fill in the fields of the registration form, click. Create Account and follow the sign up instructions. Grant the app permissions by clicking Accept. Your store is now connected to your Wix website! The tutorial video above demonstrates how to link to Ecwid store items (like categories or products) from your WIX menu to your Ecwid store. This very simple tip can help improve customer experience in your store by linking directly to products or categories. It is super easy to setup and requires only a couple simple steps. Then click on Add a link → Web Address. Also, make sure to have links open in the “current window” when configuring menu items or it will be confusing for customers. Imagine clicking on product categories in your site menu and having them open in new windows — such behavior would not be user friendly. And there you have it! You have now created a menu item in your Wix site that links to a category in your Ecwid store. This tip works may you have a free or paid WIX account. For better productivity, open your published site in one tab, and your WIX editor in another tab within the same browser. You may want to resize the mini-cart widget in WIX. You will need the code below for this tutorial. In the tutorial video above, you will learn how to add horizontal categories to your Ecwid store in your WIX website. The process is the same if you would like to display vertical categories. Here is the code you need to activate Horizontal Categories (CSS Code Template). So you customized your store design in your Ecwid backend, but the changes are not showing in your Wix front-end. No worries, at the end of this video, you will know how to design your Ecwid store in Wix. Now you may have already made these changes in your Ecwid backend but they may not show on your Wix front end since Wix offers their own store design panel. You just have to make sure to adjust things here. Also keep in mind that these changes will also only apply if you have the Standard CSS theme in your Ecwid Control Panel. If you have a custom CSS theme activated, only background color and transparency settings will apply. Subscribe to Daniella’s Youtube channel if you would like more Ecwid tutorials, tips and tricks. 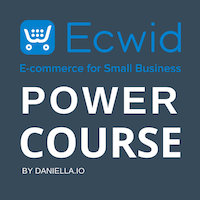 Also check out her Ecwid eCommerce Power Course to learn how to setup Ecwid to drive targeted traffic starting day one!